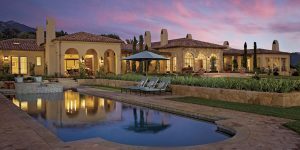 Now the purveyor of electrical systems and lighting design for many of Santa Barbara’s most exquisite custom homes, Turner Electric had the humblest of beginnings. In 1981, Paul Turner opened shop in his backyard on the Westside. He had developed a strong taste for the trade overseas as he picked up work during a bit of traveling after college at UCSB. A few years later as business grew — back then he was mainly wiring up tract homes — Brian Frederick came aboard; they’d met at Graybar Electric Company supply shop in Goleta, where Brian worked. Brian wanted to get out from behind the counter. Paul needed another set of hands in the field. An apprenticeship was born. By the mid-80s, they’d opened shop in Goleta, then they moved downtown about a decade later. 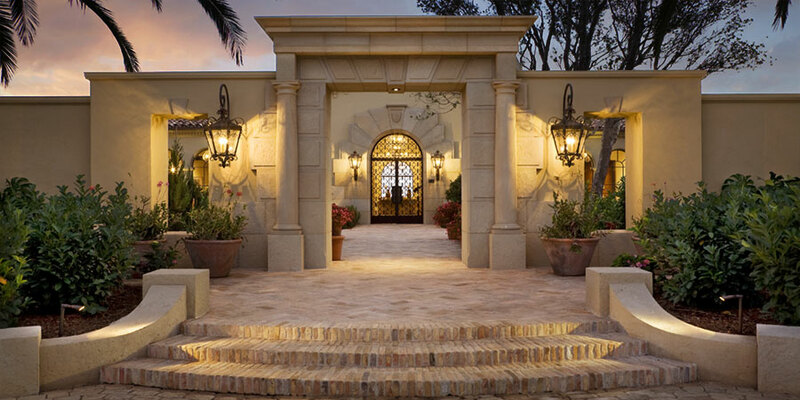 Back then, Turner Electric did a few jobs with a young and growing Giffin & Crane, but they really hit it off professionally about 15 years ago on a big, high-end project in Montecito called Cima Del Mondo (pictured, above and below). Since then, Turner Electric has worked on dozens of Giffin & Crane projects, from small remodels to brand new estate homes. Along the way, Brian has risen through the ranks, from helper to project manager to multiple-job coordinator. While the company has worked on offices, retail stores, hospitals, and projects in the hospitality industry, the thrust of the business has always remained in custom homebuilding. Brian points out that lighting is the biggest and most obvious benefit a homeowner gets out of a vast and complicated electrical system. Light is what happens when they walk into a room and flip a switch, and it’s important to get it right.